Explore the graph below and take control of your future. Framework Of Certainty. Understanding. Strategic Solutions. Is it ever too late to get ‘retirement ready’? I know how much I want, but how do I go about getting it week to week? 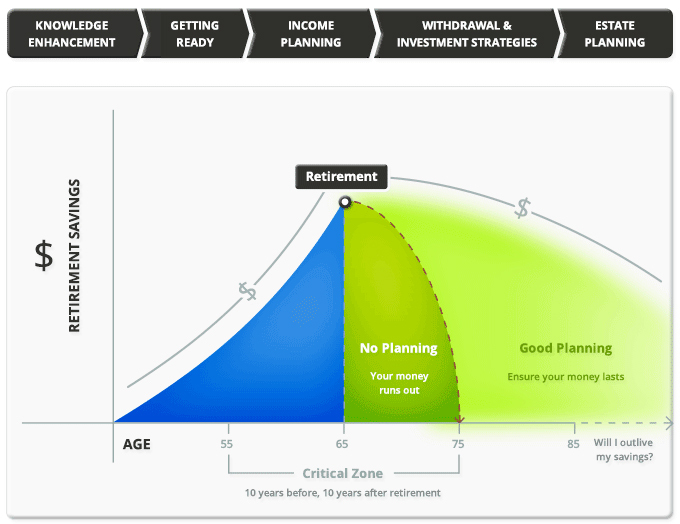 If you are within 10 years of retirement, you have the opportunity to create your own FOCUS2 ®. Commence the 5 keys to retirement planning.